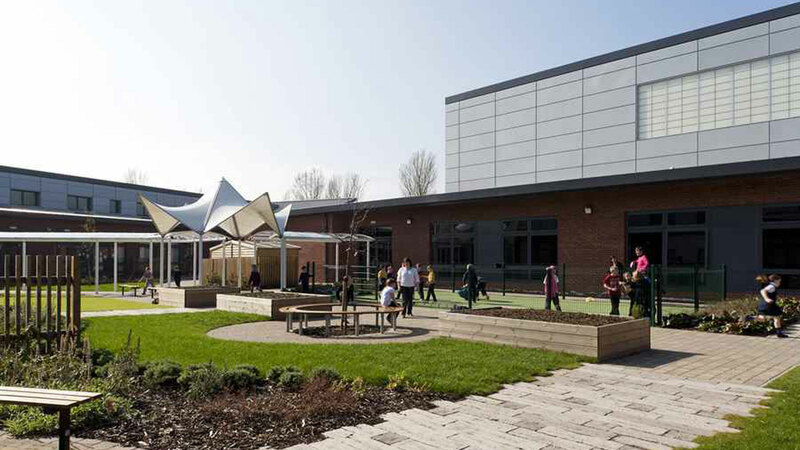 This new shared campus facility was the first to be constructed as part of North Lanarkshire’s £200m Schools & Centres 21 modernisation programme. Built on a brownfield, former industrial site within a predominantly residential area of Motherwell, the project team had to overcome several challenges to deliver the new facility. Reflecting Motherwell’s industrial heritage, the development site was previously occupied by the ‘Motherwell Iron & Steel Works’, a colliery and a gas works. Following the decline of these industries the site was re-developed as the ‘Lanarkshire Speedway and Sports Stadium before falling into disuse. Given this historic land-use an extensive site investigation was undertaken and used to inform the design of environmental remediation works, which were considered holistically with bulk earthworks and civil engineering design. By carefully considering the construction sequence, particularly regarding bulk earthworks, we were able to design a remediation scheme that avoided costly off-site disposal of contaminated soils. The remediation strategy was integral to the extensive earthworks, which were optimised to achieve a cut / fill balance through our use of 3D modelling software. Our geo-environmental engineers also provided site supervision and advisory services to the contractor during the site works as part of the remediation validation. The school buildings incorporated a 500-pupil primary school, a nursery, an assisted special needs school, shared gym and dining hall facilities and a community centre. The steel frame structure was designed to provide flexible teaching space and includes innovative moveable ‘teaching walls’ which were developed to allow for different class size groupings. The development also provided extensive parking and roads infrastructure, playground area and sports facilities including all weather sports pitches, together with a hydrotherapy swimming pool.